When you’re looking for your best thermal scope, you should pay close attention to two factors: compact and lightweight. 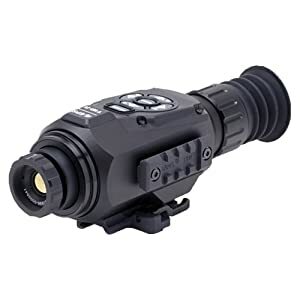 This can be an essential part of your hunting/shooting gear, so you need to find one that functions extremely well as a spotting scope with magnification and as a thermal imaging device. It’s possible to find a scope with basic design that still delivers all the function and control you need in the field. One of the key elements to look for, maybe the most important function, is the focus performance of the objective lens. With the right lens you will have suitable field of view and sufficient magnification. It’s as simple as this: The quality of thermal-imaging equipment depends on the objective-lens focus. Scopes may have various objective lenses that control the focal distance. This means the name of the scope and the advertising information should include such numbers as 50mm, 38mm and so on, depending on the type of scope you’re buying. Try to find the best magnification power in the optics, so the scope works for the specific conditions in which you hunt or shoot. If you’re a deer hunter working in the woods, you’ll need a different power than you will if you’re target shooting in the open at 1,000 yards! In general terms, you might be better with a lower power (4x or 6x) for better target tracking, when you have to shoot quickly. Higher power scopes may provide better resolution when viewing the target, but the scope will be larger and will usually cost more. Experienced shooters and hunters feel 10x is a comfortable break point. 2 What Makes the Best Thermal Scope? Three additional details you should consider when choosing the best thermal scope are refresh rate, reticle and battery life. The quality of a thermal scope is determined, in large part, by the refresh rate. A higher rate means a smoother image when tracking the target. Most veterans suggest buying a scope with a refresh rate above 30Hz. You also want to get a scope with excellent resolution, so you get the target details you need. Reticles generally come in three categories: duplex, mil-dot, and BDC. Duplex seems to be very popular, with a midpoint crosshair that is thin at the center but widens away from the midpoint. The mil-dot reticle is considered an improvement on this basic design because it can help determine target range. BDC stands for bullet-drop compensator. This technology allows you to shoot more accurately over various ranges without making elevation adjustments. Battery life is just what the name implies. Don’t overlook this function when purchasing your best thermal scope. Five hours should be a minimum for the best thermal scope, under normal circumstances. When you’re looking for a scope that will perform in low-light conditions, you have choices. You can use a thermal-imaging device or a night-vision device. First, you should understand a bit about how your eyes work at night. The human eye has rods and cones at the back, both of which are sensitive to light. But, they work differently. Rods help you see in dim light but don’t allow you to see color. Cones deliver color but don’t work as well in low light. 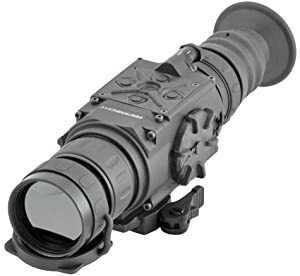 A night-vision scope will deliver more detail but the color will be missing, because it intensifies the available light. This equipment works if there is some light for it to intensify. Thermal equipment measures the difference between the heat of an object and the amount of heat in the surrounding area. Thermal-imaging cameras and scopes can detect very small temperature differences, but you’ll see the image in shades of grey. With this basic difference in mind, consider the conditions in which you hunt or shoot most of the time. Night-vision technology has limitations similar to those of the naked eye. If there isn’t enough light available for the night-vision scope to work with, it doesn’t “see” well. In fact, this technology doesn’t work well if there’s too much light either. Twilight hours can be difficult with night-vision technology. On the other hand, thermal scopes and cameras aren’t affected as much by the light visible to your eye. They depend solely on the heat given off by a target and the temperature of surrounding air, trees and so on. If there is a temperature difference, the best thermal scope will deliver a good image, regardless of the amount of light. When you decide to make use of a thermal scope for hunting in low light, you’ll need to know which one will work best for your purposes. You can begin your search by following some of the suggestions about features and functions already mentioned. Look for a scope that delivers excellent focus from its lens. This determines what you see, so you should find one that gives you the best “picture” of the target area. It’s also important to consider how far you’re going to be from your target, on an average basis. This will help you determine the magnification you should be looking for. As mentioned, you may want a higher-powered scope but you’ll have to carry a larger piece of equipment. You’ll track your targets more quickly with a scope of around 4x or 6x power. If you’re going to shoot at a target several hundred yards away, you’ll need more magnification. You can also try to find a quality scope with variable magnification. Once you’ve narrowed your search based on this information, you may want to start looking at prices for scopes with similar functions and performance. As mentioned from the beginning, you will also need to look for a scope that is compact in design and lightweight, so you don’t carry any more weight than necessary. These reviews will look at the best thermal scopes for hunting. As you read the reviews, be sure to focus on the details that fit your situation best. While each product has its enthusiastic fans, you’ll probably find that any of these quality scopes will work well in the field. The ATN Thor HD 384 offers optical power ranging from 1.25x to 5x, with 384 by 288 resolution. Focal length is 19mm. This is certainly a state-of-the-art product, which is probably why it’s marketed as “Smart.” You get a magnetometer, accelerometer, gyroscope (all 3D), built-in Wi-Fi, zoom. You can also save video recordings with the ATN Thor. 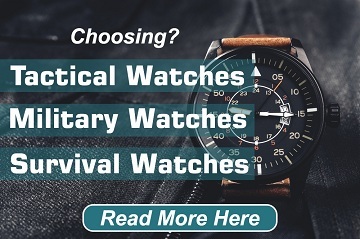 Some of the features that stand out are excellent thermal detection, sharp color reticle, smooth zoom operation, GPS (elevation), geo-tagging, and Wi-Fi. You may have to make some calibration adjustments when you power up, but the performance will probably be worth it. AA battery life seems to be outstanding with this scope. You’ll also find this product to be light and manageable, which is excellent for the benefits you get. The Pulsar Apex XD50A offers 384 by 288 resolution, with 1.9x magnification and 50Hz refresh rate. The resolution is excellent for capturing images in the 1,000-yard range. Digital zoom is very dependable for distance detection. The LCD display and good refresh rate give you stable images of moving targets. This is a good choice for a variety of hunting situations, especially because of its continuous digital zoom for extended magnification. The Pulsar also offers something similar to picture-in-picture that gives you a view of the reticle aiming point near the top of the screen. This contributes to precision aiming, while the rest of the display maintains the wider field of view. Once you get used to the three operating modes (Identification, Forest, Rocks) you’ll benefit from the improved hot-object details. Several calibration modes are standard – automatic, manual, semi-automatic. 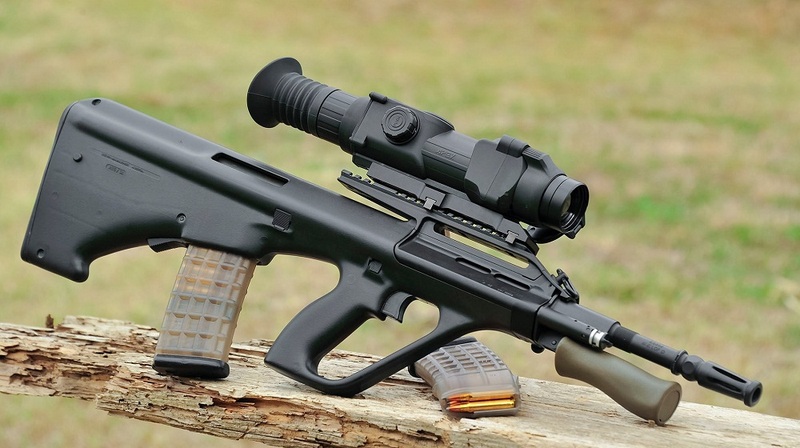 One item that stands out in the product descriptions for the Armasight Zeus 336 is the three-year warranty. This scope offers 3x to 12x magnification with resolution of 336 by 256. 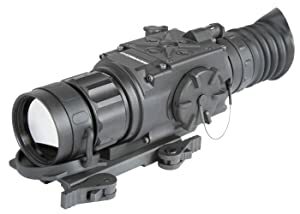 In basic terms, it’s an excellent rifle scope, but you can make great use of this as a hand-held device too because it works as a good spotting scope. This product stands out for its durability and its ability to pick up images through smoke, dust, haze, fog, etc. Lightweight and compact, learning the Armasight is rather easy. It delivers six reticle patterns, including cross-center dot, line dot, no reticle, crosshair, cross, and dot 4 MOA. 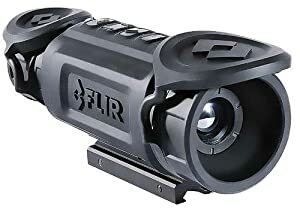 If you’re going to hunt at night or in very low-light conditions, the FLIR Systems RS64 is a good companion. It delivers 1x to 9x magnification with a 35mm lines and 30Hz refresh rate. Key benefits include solid mounting system and great optics, especially for activities such as coyote hunting. Offers 640 by 480 resolution. Battery life is acceptable, and you’ll like the basic control system. 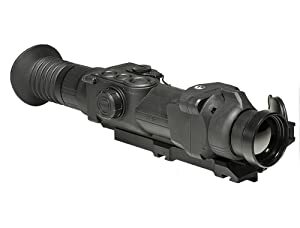 Another solid product from Armasight, the Zeus 640 also comes with a solid three-year warranty. You can also get the optional external power supply and video recorder. This scope has become quite popular because of its light weight and compact design. Digital zoom extends from 1x to 8x, with color modes including white hot, black hot and rainbow. It delivers six reticle patterns, including no reticle, crosshair, cross, cross-center dot, line dot and dot 4 MOA. You can also use wireless remote control for surveillance/tactical operations. You’ll have to do some serious shopping to find the best thermal scope for your specific hunting or shooting activities. When you start searching, look closely at the details because this is a big investment for most hunters. Pay particular attention to resolution and optical power, as mentioned several times. Lower magnification and smaller objective lens may limit target acquisition and distance coverage. The FLIR has its enthusiastic users, but then so do the Armasight, ATN, and Pulsar. The warranty might be very attractive for some buyers, while the display features of the Pulsar will draw a lot of fans. The bottom line is: You’ll need to do your best to match the numbers to your type of hunting. You left out Pulsar Trail XQ Thermal Riflescope which is high-end but should be in this list of the best thermal scopes. I have tried it out and its one of the best thermal scopes if not the best. this one is left out if the editor is paid by others than Pulsar. I bought my XP straight after it was out in 2017 an duse it actively. Never any problems and a really long battery time. The only thing what irritats me is that when hunting in Sweden, in the forrest, it is to good. Thanks Willis for useful information, Pulsar Trail XP50 is a good one. Our list is picked on different categories, it’s the reason Pulsar Trail XP50 left out. Why scope works best in hot Florida? Can it work at night when it’s 85 degrees and muggy? We live in S.W. Florida and they do well in our climate. We hunt in all conditions.